I love pizza, yoga and my Mom. You cannot be on social media today without being reminded tomorrow is Mother’s Day in Canada. Like Christmas, Mother’s Day is not a day of celebration for everyone. For many it is a day of remembrance due to the loss of a mother, if not through death perhaps through estrangement. Sadly the reality of life is that days of celebration are not all-inclusive. Even those who are a mother themselves, or those who have a mother, may have reasons not to celebrate. 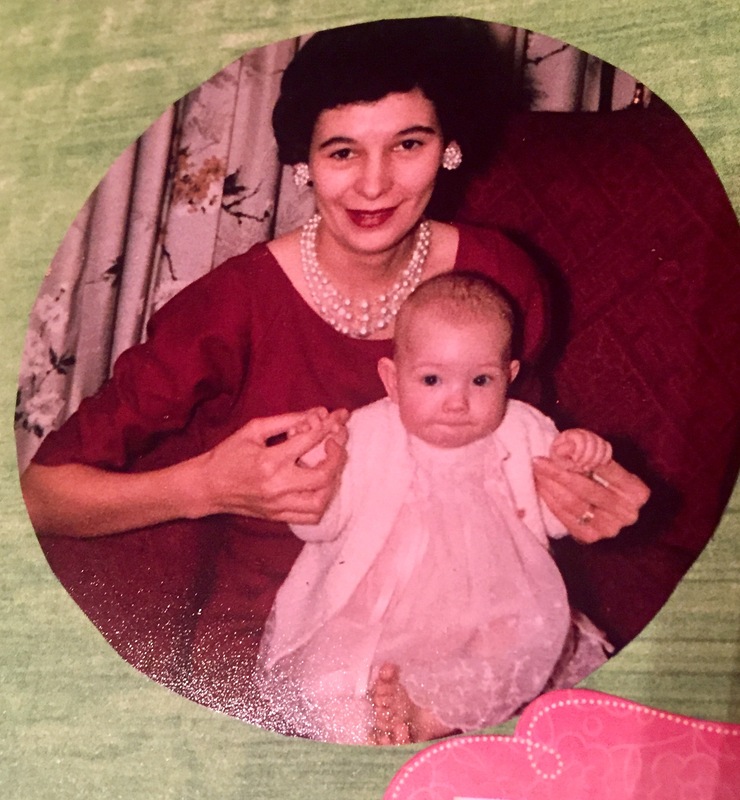 I do not take the fact I still have a mother for granted (she is nearing eighty, though without a doubt I know she’d rather I say she is just over seventy-five), but as I am reflecting upon Mother’s Day I realize I don’t think I’ve really ever told my Mom what it is I admire the most about her. Today is that day. My Mom always told me when she finished high school she had only three choices of career: secretary, nurse, or teacher. She was not good at typing and did not want to work around blood, so her choice was obvious. Because there was a serious shortage of teachers when she graduated high school, she became as they were called back then – a “six week wonder”, attending summer school in preparation to teach a class right away in September. My Mom began teaching school in a small rural community in the late 1950s when she was just seventeen years old. She graduated high school at a young age because she had skipped a grade in school. The fact that she took on the responsibility of teaching, and did the job well is amazing enough, but the fact she continued to do so for decades until her retirement in her mid-fifties makes it even more so. While teaching full-time she also completed her Bachelor of Education degree doing evening and summer school classes. Later in life when I discovered Mom was a life-long insomniac it boggled my mind to realize it had not been easy for her to get up early every school day, teach all day, make supper at home, then continue her own studies in the evening. She had, and continues to have incredible willpower. To me, that strength and perseverance is her most admirable characteristic. Though some might say it was not so difficult (after all she only had one child of her own) Mom had her share of other worries during the span of her career. By the time I became a teenager, Mom had lost both her parents within a span of two years. Her Dad’s death was a long suffering one due to pancreatic cancer, and her Mom’s a sudden, unexpected one due to a smouldering house fire. Mom’s only sister (separated and with no children of her own) was diagnosed with metastasized breast cancer, surviving for years but often requiring emotional support especially during prolonged hospital stays. Mom never took a leave of absence during these difficult times but continued with her teaching responsibilities, filling familial ones in between. Another example of Mom’s willpower was when she decided to quit smoking. She had started as a teenager. Remember, back then doctors didn’t even advise pregnant women to stop the habit, and they even smoked inside the medical clinics and hospitals. However, when it was discovered that smoking increased cancer risk, Mom signed up for a seven day smoking cessation workshop for seven consecutive nights. I was around eleven years old then; I still remember she was grumpy and short-tempered for a few days. She was successful though, she never smoked again. Likewise, when the news reported butter was not good for you and caused high cholesterol – BOOM – Mom stopped eating butter. Mom was diagnosed with osteoporosis at quite a young age, in hindsight probably due to having undiagnosed celiac disease for years. Learning it was important to build bone density via weight-bearing exercise, she began to walk regularly and joined a Curves gym when it opened in her community. During inclement weather she walks indoors on the treadmill. Prior to Curves closing she had registered around 900 workouts, most done in her seventies. I know few people of ANY age who are so diligent with their exercise and nutrition habits as my Mom. When she decides to do something, she does it, period. Without a doubt her strong willpower has served her well. I want her to know it has not gone unobserved. A few weeks ago I asked my Mom to read a story I’d written for a short story competition. After reading it she sent me an e-mail saying she “loved it”. I asked her to tell me what she loved about the story. It wasn’t enough for me just to hear she loved it, I wanted to know why. I wanted to know she actually loved it, and was not just saying that without reason (except for being my Mom). We live in a world where the word “love” gets thrown around frequently. Don’t get me wrong, that IS a good thing. I love pizza and can tell you why. I already told you a few blogs ago why I love yoga. Telling someone we love them has extra meaning when we let them know exactly what it is we love about them. According to palliative care experts, at the end of life what people most want to know is that their life mattered, had some meaning, and that they were loved. I don’t think we should wait for the end of life. I love you Mom. Now you also know one of the reasons why. Suzanne, I need not tell you that what you have written is an excellent description of your Mom and that beyond a doubt this will touch her greatly… You could not give her a more significant and loving Mother’s Day gift. I hope you are right! Thank you. Love you too Dad. Beautiful tribute to your extraordinary, mom! So glad to know that about your Mom! Very interesting and also very sweet, I’m sure she’ll love it! Your mom is lucky to have a daughter like you. And you are lucky to still have your mom. Good memories always. In honor of World Sjogren’s Day, allow me to say: I’m really f***ing tired! More awareness is never a bad thing. Enjoy tossing out words recklessly and playfully! Believe in magic of blue-green elixir and word balms. Dabbling abstract artist, writer of poetry that does not rhyme & stories that may or may not be true. Depressed Teacher, Mum and Wife.